Junior Michaela Larson began her first year at Notre Dame not knowing a word of the Irish language. Now—after being one of about 60 participants in the 2016 Summer Language Abroad (SLA) program through Notre Dame’s Center for the Study of Languages and Cultures—the history major is able to translate articles and converse in Irish. After studying Irish literature in a University Seminar course, Larson’s professor encouraged her to pursue an SLA grant to immerse herself in the language she had grown to love. Through intensive language coursework and daily interaction with native speakers, the SLA experience allows students to rapidly enhance their command of a foreign language—be it Arabic, Cantonese, Chinese, French, German, Irish, Japanese, Korean, Russian, Spanish, or Swahili. 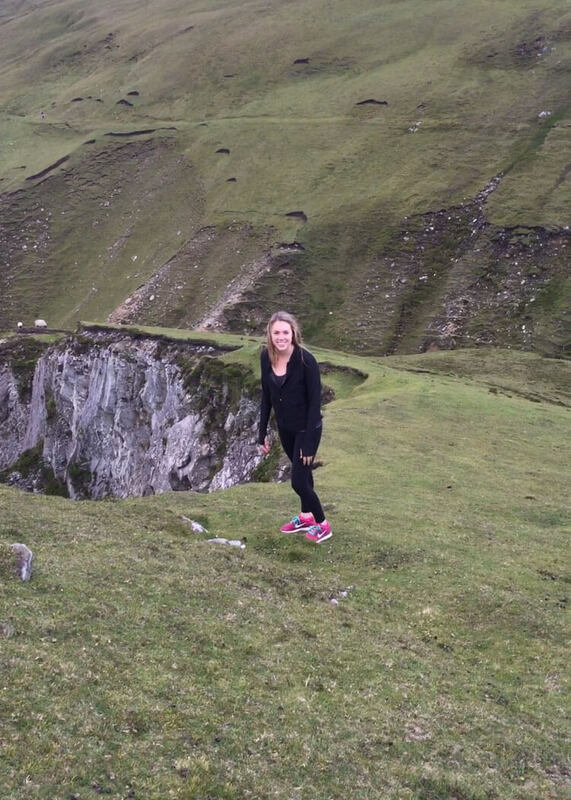 After her summer in Gleann Cholm Cille and Gleann Fhinne in northwest Ireland, Larson is now minoring in Irish language and literature and hopes to incorporate the language into any research she does in the future. 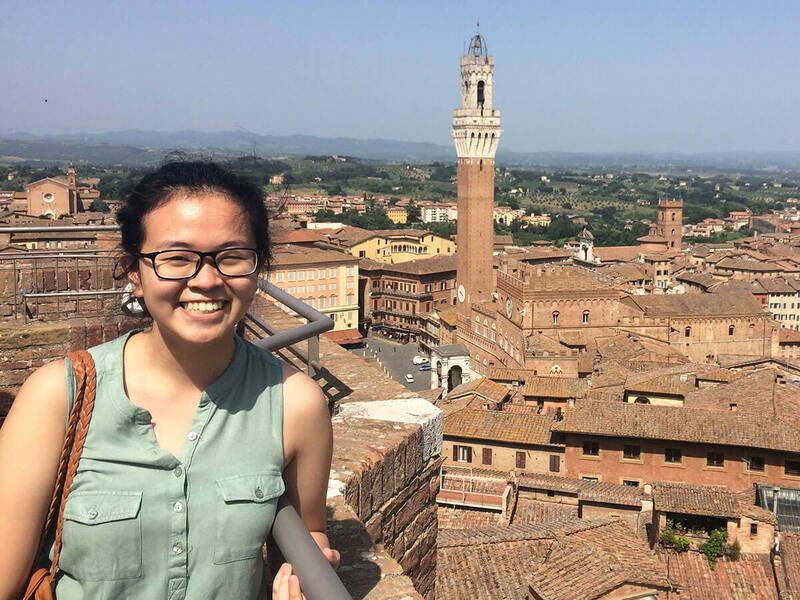 During her summer in Siena, Italy, junior psychology major Regina Ekaputri developed a favorite way to learn—taking walks. She found interesting stores and alleys, unexpected openings between buildings that revealed spectacular views, artwork on the streets, vibrant markets—and, once, a parade of people marching in medieval costumes. Exploring on foot allowed her to interact with locals, too. With minors in Italian and art history, Ekaputri was particularly keen to experience the way in which Italy’s rich history, culture, and language were intertwined. Needless to say, one of her most frequently used Italian phrases was “facciamo una passeggiata”—let’s take a walk. 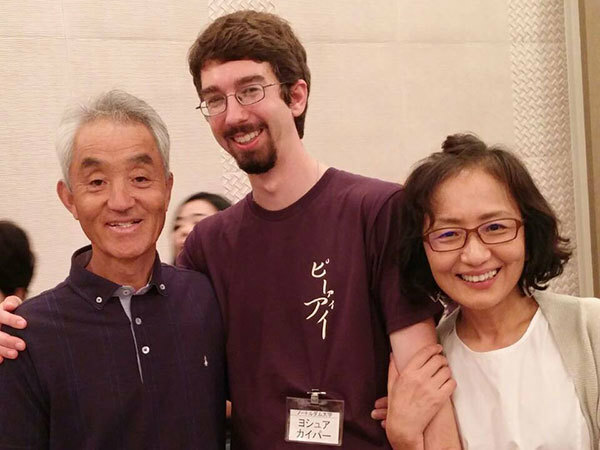 Joshua Kuiper with his host family in Japan. Language immersion isn’t an easy feat. But for English and Japanese major Joshua Kuiper—who spent the summer in Kanazawa, Japan—adversity led to profound moments of reflection. At times, learning the language seemed difficult and daunting. But over the course of the summer, he was invigorated and inspired. “The relationships I made in Kanazawa—such as with my host family, local university students, and Shinto priests—reminded me of why I began to study Japanese: to connect with the ideas and emotions of a country I have found fascinating since I was a child,” he said. His experience did more than aid in language acquisition. His summer in Kanazawa informed his plans for the future. Kuiper opted to spend this fall semester abroad in Nagoya, Japan. After graduation, he hopes to pursue a career in Japan in a field that can combine his two majors and involve the intersection of language, like comparative literature or media translation. Political science major Casey Kennedy hopes to pursue a career in international development, and knows language acquisition will be key to finding success. After taking a year of Swahili elsewhere, Kennedy took a specialized directed reading course in the language with Rev. Robert Dowd, C.S.C., an associate professor of political science. Striving toward fluency, she decided to apply for an SLA grant. 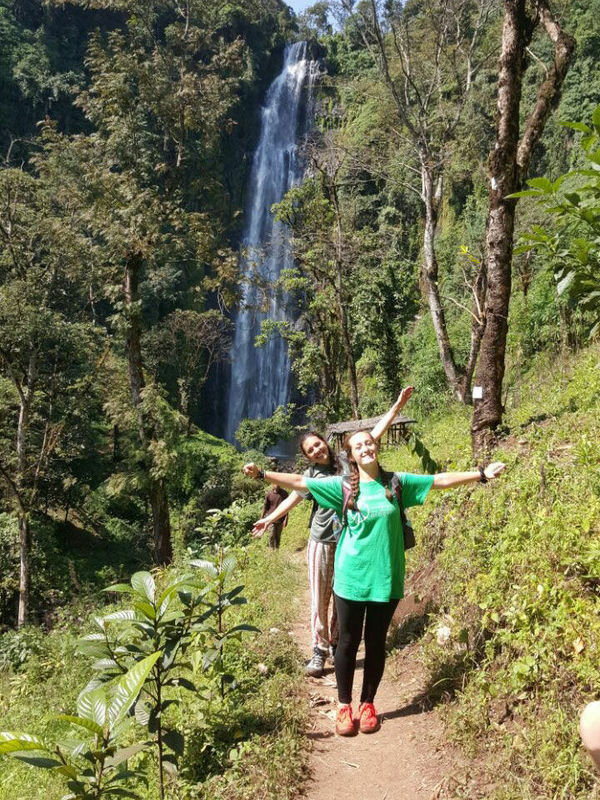 The program allowed Kennedy to spend the summer studying Swahili in Morogoro, Tanzania, where she grew both as a language speaker and overall learner. When the program ended Kennedy spent another month in East Africa to continue her study of the language, and she intends to return to the region to conduct research. She believes that her experience and command of the language will be critical in her future career. Originally published by Grace Guibert at al.nd.edu on November 22, 2016.